Many of you know that ArgoTrak was recently named on the Inc. 5000 list as one of the fastest-growing private companies in America with a ranking of No. 1168. That was quite an honor. We planned to celebrate back in September, but Irma swept through and changed our plans. We have rescheduled and now we have even more to celebrate! We are looking forward to time together to reflect on a year of milestones, the blessings of the holiday season, and to share the Inc. 5000 recognition with our team, our family and friends, our partners, our vendors and our customers, all who have supported ArgoTrak over the years. We have also invited the other Inc. 5000 recipients in our community, we share in this accomplishment together. 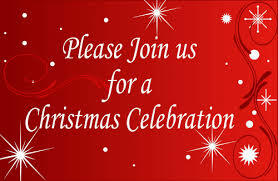 Please join us for food, drink, friendship, reflection, appreciation, and a Christmas raffle. Please RSVPthe number attending to Christine by calling (239) 228-3897 or at christine@argotrak.com.